The view through Queen Margaret's arch up Gillygate. 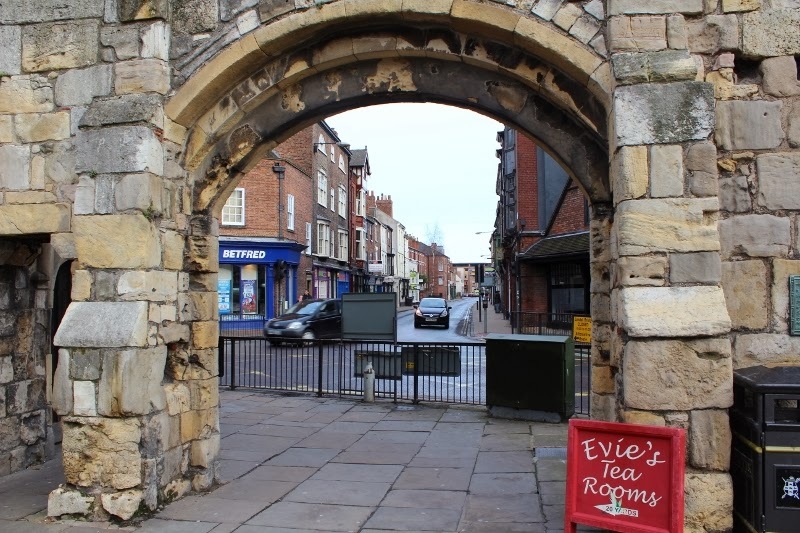 The arch is named after Margaret Tudor, daughter of Henry IV, who married James IV of Scotland. I love seeing an arch, and this one's looking splendid. It's wonderful to imagine her walking there.